I used Doilie ,Vintage Script, Birds and Bugs Cube ,I love you scroll and Containers Cubed # 2 all by Stampotique Originals. Join us for Stampotique's Magical Mystery Tour today. Why a Magical Mystery Tour? Comment on all the blogs and along the way we have 2 mystery prizes to give away. A few weeks ago, Valerie had us recycling and this week she has us cleaning house again!!! She's challenging us to dig in our stash to see how many scraps we can use up in our projects. Just about anything qualifies as a scrap - as long as you're utilizing a piece or part of something that you generated before but never used up... it counts! So what will it be? Bits of an old master board or freaky background? Leftover pieces of your favorite designer paper? Part of an old piece of grunge board? Fragments of a previously inked image? Or the remnants of some odd embellishment? Let's see just how creative you can be! As you make your way through the tour make sure you comment on each and every post. There will be 2 prize winners chosen randomly amongst the blogs. For some additional chances to win another prize join us with our "Scraps" Challenge using your Stampotique stamps for your chance at a $30 gift certificate for Stampotique stamps and at being our August Guest Designer, see our blog for additional information. Our tour will end on June 28th and the winner or the 2 tour prizes will be announced on our blog on June 29th. 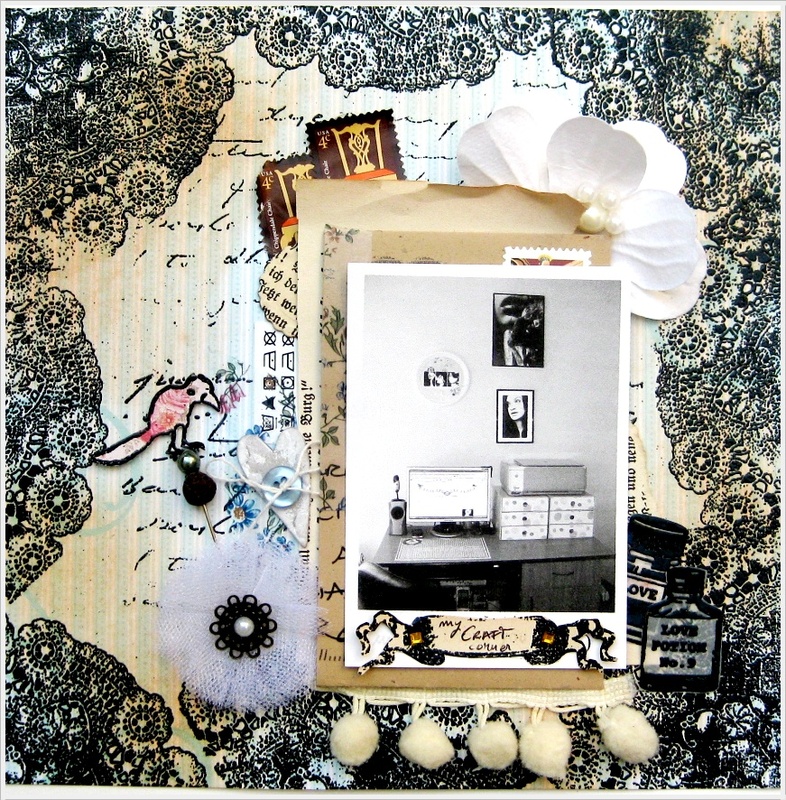 You will want to jump on over to Valerie Wilson to see what kind of scraps she has used on our Magical Mystery Tour. Funny and fabulous creation, Maria! WEll this has been fun seeing how all of you created something unique.......good job! 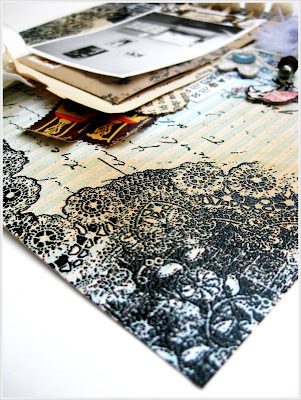 Wonderful scrap page, love how you used the Doily to create your own custom paper! Yes! 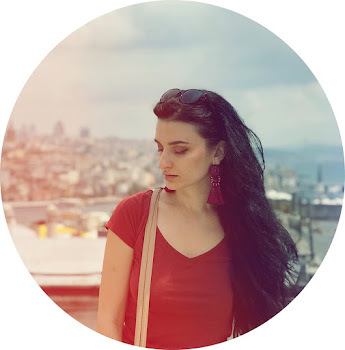 Even the last blog gives a surprise in being totally diferent from the others! I like your choice of stamps! It's gorgeous!I love those doilies! Cool layout. Love the interesting layering. I like all the different kinds of scraps you used. I especially love the corners on your creation! It just pops! I love all the gorgeous pops of black. You used all sorts of unexpected elements wonderfully. That doily stamp is SO cool! Beautiful page. Wonderful creation! LOVE the doily stamp! This is just fabulous, such details! Great idea - wonderful project. Gorgeous! I love how it's edgy, modern and vintage all at the same time. Very one-of-a-kind and I love it! Beautiful card, very creative, wonderful detail. LOVELY layout! You combine the most stunning and interesting embellishments perfectly to create beauty. Very elegant!